One mile from the Alderbrook golf course is the Hood Canal - one of 2 fjords in the lower 48 states. A fjord or fiord is a narrow non enclosed body of water with steep sides. 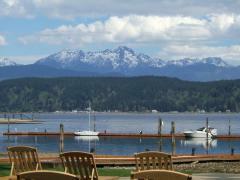 Hood Canal is a recreational paradise with calm waters & a full complement of water sports. 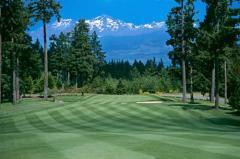 The Olympic Mountain range just a few miles away offers a wide selection of outdoor activities as well. Disclaimer; Richard Beckman Realty Group, LLC has no association or affiliation with the Alderbrook Resort & Spa or Alderbrook Golf, Yacht / Country Club.